Mr. Saad Abdul Latif Palestine Saad Abdul-Latif was the chief executive officer for PepsiCo Asia, Middle East and Africa, a global food and beverage leader that includes 22 brands that generate more than 1 billion$ each in annual retail sales. Abdul-Latif assumed his responsibilities in September 2008. His sector spans more than 90 countries and serves almost three-fourths of the world’s population. He led more than 40,000 employees who generated $7.4 billion in annual revenues in 2011. A 30-year PepsiCo veteran, Abdul-Latif has served as the company’s general manager in the Middle East, North Africa and Pakistan, area vice president for the Saudi Arabia and the Gulf region, group vice president for Frito-Lay Middle East and general manager for the Middle East region. He was an active supporter of causes related to the Millennium Development Goals. He was the founder of PepsiCo’s Tomooh education program, which partners with the World Food Program, he has shepherded PepsiCo’s close partnership with the Arab International Women’s Forum and he sat on the board of PlaNet Finance, an organization which fights poverty through the development of microfinance. Abdul-Latif was an International Council Member of Harvard University’s Belfer Center for Science and International Affairs. He was also a member of the Board of Fellows for the Thunderbird School of Global Management, from which he held a Master’s degree in international management (MIM). 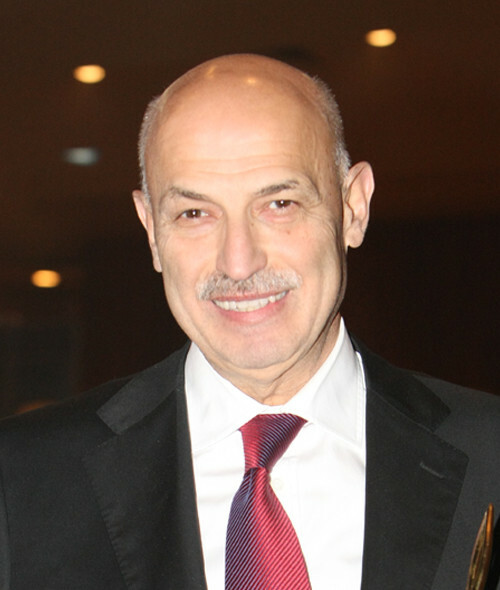 He was a holder of a Bachelor’s degree in Public Administration from the American University of Beirut. He passed away on September 18 of 2013 in Italy, at the age of 59.